Your feed title and author name will both automatically reflect your SoundCloud account’s Display Name. However, if your Display Name is not what you want your podcast to be searched as in iTunes or other podcasting alternatives, we have customization options. Go to your Content Settings page, and choose a new title and author name. 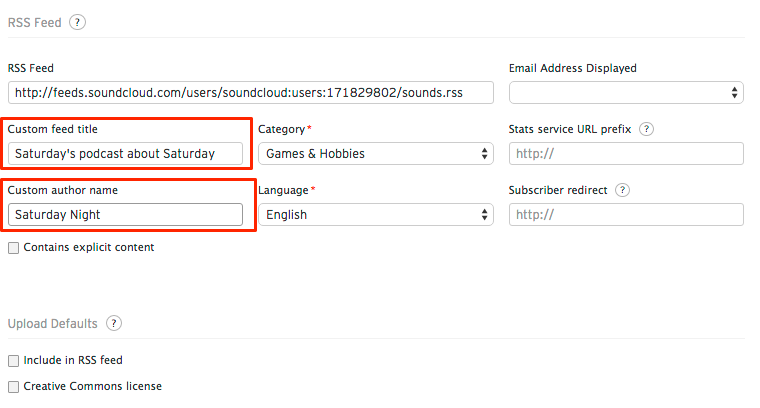 From there, your RSS information will be changed, and reflected in iTunes.